When you take a vacation to the Smoky Mountains, you might be a bit overwhelmed with all the fun activities in Pigeon Forge that your family will be excited to do. We can help you make a plan for what you want to experience in this great tourist destination. We won’t plan your whole vacation, but we’d like to show you what we recommend for one fun-filled day! Start your day bright and early with a short drive to The Old Mill where there’s plenty waiting for you. The first thing on the agenda should be an amazing breakfast at ​The Old Mill Restaurant​. They are famous for their delicious Country and Biscuit Breakfast, but the kids might be more interested in pancakes, and that will be a tasty decision as well. This awesome breakfast will give you all enough food to last well past lunch! When you’re finished filling up on a homestyle breakfast, you can start doing some exploring with all the shops in The Old Mill District. It’s what makes this area special out of all the activities in Pigeon Forge. It feels like you’re going back in time, as the history of the area comes to life in the present day. Places such as The Farmhouse Kitchen, General Store, and the Candy Kitchen are absolute musts, and after a visit, we’re sure you’ll agree! Following up your fantastic family visit to The Old Mill, why not take some time to get starstruck by the wax figures at the ​Hollywood Wax Museum​. This is one of the many activities in Pigeon Forge that the kids will love. You can see life-size wax creations of some big names throughout the entertainment and sports world. Make sure to get your picture taken with these celebrities, since there won’t be an opportunity for an autograph here. The rest of the afternoon can be spent taking the kids around to the various arcades and go-kart tracks that are plentiful along the Parkway. ​SpeedZone Fun Park​ is a cool place for multiple tracks and racing at surprisingly fast speeds for the ultimate excitement! We’re sure your starting to build up your hunger, so let’s tell you about the final stop of the day! 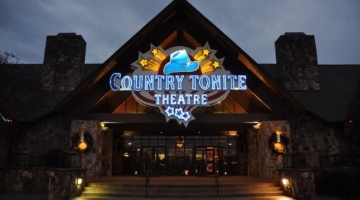 Activities in Pigeon Forge will seem quite ordinary after you’ve seen ​Dolly Parton’s Stampede​ — and that says something about how impressive this attraction really is. Since we mentioned food, this is also a dinner show that provides a spectacular Southern meal that you’ll dig into with your fingers. The only thing more amazing is the performance itself! The performers will treat you to a show that’s second to none in quality and talent. If you want to see an even greater entertainment value, be sure to get tickets for their ​Christmas Show​. The incredible lights, sounds, and live animals are just a few things about this particular event you won’t dare want to miss! As you can see, one day can be special with all the activities in Pigeon Forge you can explore. Change things up for the rest of your vacation, because there’s plenty more to see and do. There’s no better location for all this fun than All Season Suites, so cozy up to our hotel and ​book your room​ today!